A computer-generated image shows how the Treasure development would appear from the Marsac Building. The Park City Planning Commission this week is scheduled to discuss the square footage of the Treasure proposal. The Treasure partnership, questioned for years about the square footage of the proposed hillside development, submitted a lengthy memo to City Hall in early August detailing the numbers and arguing that the space is needed to build a high-end hotel. 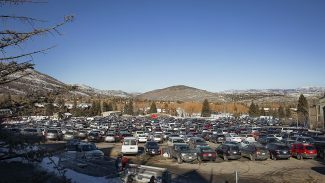 The memo was sent to the municipal government in anticipation of a Park City Planning Commission meeting on Wednesday. The Planning Commission is engaged in a detailed discussion of the square footage, the first topic the panel is addressing during what is expected to be a lengthy review of Treasure that will eventually move to other difficult topics like traffic. The square footage proposed at Treasure has increased since a differently designed 2004 submittal. The project at that time was envisioned as 849,007 square feet. The current proposal, though, has expanded to 1,016,887 square feet. Critics of the project, already unhappy at the lower number, are displeased with the higher one as well. But the Treasure side maintains the square footage is necessary for a successful project. The memo says the Treasure developers in 2004 made estimates regarding square footage. The current number is based on calculations that are more detailed than the earlier ones, it says. Some of the categories that were based on estimates included residences, lobbies and common spaces. “In the course of providing more detailed submissions at the City’s request, these preliminary estimates were replaced with more specific calculations for the total floor areas needed for these spaces . . .,” the memo says. The memo, meanwhile, says the Treasure side in some cases cut the amount of square feet since 2004. It provides, as an example, the developers reduced space for parking at one site by approximately 25 percent and shifted a portion of that square footage and use to another location within the project. 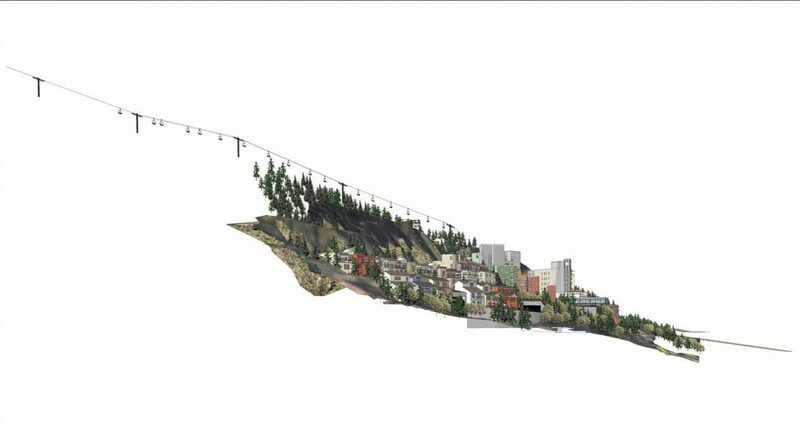 The Treasure side argues the project, which would be built on a highly visible hillside overlooking Old Town along the route of the Town Lift, is similar in nature to the Montage Deer Valley and the St. Regis Deer Valley. Those projects also have extensive square footage needed to operate an exclusive lodging property. The Montage Deer Valley and St. Regis Deer Valley are located in remote locations, though. 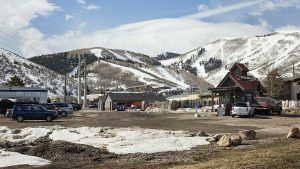 The Sweeney family was the traditional owner of the Treasure land and it is now under the ownership of a partnership involving the family and a firm called Park City II, LLC. The Sweeney family in the 1980s secured an overall approval for development on the Treasure acreage and nearby parcels. The partnership is now seeking another approval needed before the development can be built. 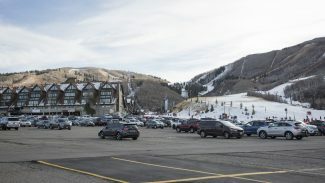 Sweeney said projects like the Montage Deer Valley and the St. Regis Deer Valley would be “dead condominiums” if they did not offer meeting space and commercial spaces. He said Treasure, like the other projects, wants to offer “all of the kind of amenities” expected in a high-end property. The Planning Commission talks about the square footage are some of the most important of the review of Treasure. 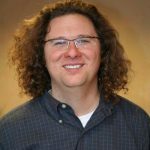 The panel’s decisions regarding the topic are expected to influence some of the other issues that will be addressed later, such as the building designs and traffic. The Planning Commission’s Treasure talks will likely last well into 2017 before a vote is cast. During the most recent Planning Commission discussion about Treasure, held in July, some panelists and people who testified remained concerned with the square footage. Steve Joyce, a Planning Commissioner, was especially questioning as he mentioned topics like the Treasure excavation, the number of employees who will be needed to work at the project and the calculations that led to the square-footage numbers. 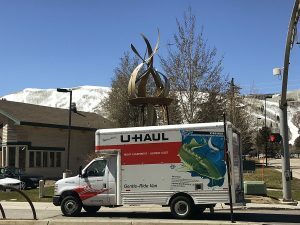 The Planning Commission meeting on Wednesday is scheduled to start at 5:30 p.m. at the Santy Auditorium in the Park City Library. Planning Commission meetings regarding Treasure have been shifted to the Santy Auditorium to accommodate the crowd. A public hearing is scheduled. The Planning Commission is expected to hold the next meeting about Treasure on Sept. 14.